Have you ever walked into your Lakeville, MN basement after a big rainstorm and found yourself splashing through ankle-high water? Heavy storms can cause big problems in your home if you don’t have a sump pump installed. Aqueduct Plumbing Co. is your family owned Lakeville, MN plumbing company that offers sump pump installation before it becomes an emergency. A sump pump is an electric pump typically placed in a pit in the basement or the lowest point of your Minnesota home. During heavy rainstorms, water that would otherwise flood into your basement is diverted into the pit with the pump. When the water level reaches a certain point, the float valve on the sump pump activates and flushes the pump basically like a toilet, removing the water from your home so it doesn’t flood the basement. Sump pumps are a cost-effective way to prevent major damage to your basement and protect your valuables. Without frequent sump pump testing, you can’t be sure if your sump pump is going to work when you need it –and when your sump pump doesn’t work, even a moderate rainstorm could spell trouble for your home! Fortunately, all of the expert Lakeville, MN technicians at Aqueduct Plumbing Co. are sump pump repair pros, and we’re available to take care of your sump pump needs – 7 Days a Week! 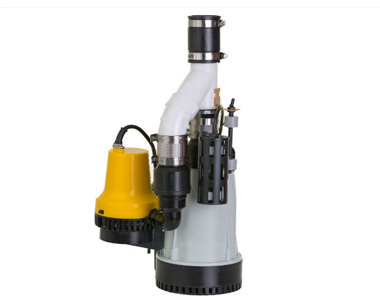 If you need sump pump installation, repair, replacement, or testing don’t wait! Pick up the phone and call Aqueduct Plumbing Co. in Lakeville, MN at 952-469-1284 – we’ll have a new sump pump installed in your home or have your busted sump pump running again in no time! Is your Lakeville, MN home ready to take on heavy rain? Avoid flooding in your basement with a professionally installed sump pump. Call Aqueduct Plumbing Co. at 952-469-1284 to work with the top Lakeville, MN sump pump installers. Do you live on a floodplain but don’t have a sump pump? Avoid flooding in low lying areas of your home (such as basements and crawlspaces) by installing the right sump pump for your needs. Sump pumps keep your home from retaining flood water and help keep your property safe from water damage. If the water level rises above your home’s foundation, it can seep into your home and cause short circuits. A sump pump is a necessary investment that can save you thousands on water damage repairs. Water powered back-up pump: A water powered back-up sump pump operates without electricity or a battery. It uses your municipal water supply to power the pump. For every gallon of water used, a water powered back-up pump will remove two gallons from the flooded area. Submersible pump: Submersible sump pumps are most popular, as they can be submerged with no adverse effects to the motor. They are also easier to handle and prove more efficient. Battery back-up pumps: Battery back-up pumps operate off a battery in the event of a power failure. It will automatically kick on when your primary pump stops working. When we come for a free estimate to your Lakeville, MN home we will determine the ideal sump pump for you based on your home’s needs and the surrounding area. Call Aqueduct Plumbing Co. for more information on sump pump installation. When was the last time you carefully looked the sump pump in your Lakeville, MN home? Sump pumps are the kind of thing that you don’t really ever think about—until you get hit with a torrential rain storm and suddenly your Lakeville, MN basement is under 3 inches of water! If you have a sump pump problem it’s all but imperative that you get sump pump repair as soon as possible—especially if your basement floods easily. You never know when you’ll get hit by the next big Minnesota rainstorm, and the worst time to find out you need sump pump repair is when you need to splash through a few inches of standing water in your basement to see the pump. Sump pumps are designed to move water out of your Lakeville, MN home during rainstorms. Sump pumps are connected to your home’s electricity, which means that if the storm causes a power outage, you could have problems! Many sump pumps come with battery backups that kick on in the event of a power outage and should stay on for the duration of the storm. If you need your sump pump battery backup repaired (or if you want to install a battery backup for your sump pump), call Aqueduct Plumbing Co.! There’s nothing worse than a fully operational sump pump with no electricity to power it. If you want a local plumber to come out and inspect your sump pump, or if a sump pump test has shown that you need sump pump repair, call the experts at Aqueduct Plumbing Co.! Contact us at 952-469-1284 to schedule your sump pump repair or service in Lakeville, MN today.